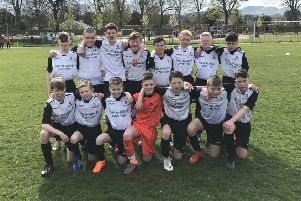 This weekend sees two cup finals over two days involving two Edinburgh teams, but Whitehill Welfare boss Steve Hislop hopes neither are celebrating after their respective final whistles. His Lowland League side take on SPFL-bound Edinburgh City in the South Challenge Cup at East Peffermill on Sunday. And on Saturday Hibs will attempt to end their now infamous 114-year hoodoo in the national version at Hampden. After only a few weeks in charge at Welfare, silverware would be a welcome if unexpected end to the season, although Hislop stopped short of describing it as a free hit. Given the former Inverness, Raith and Livingston striker is of a maroon persuasion when it comes to the team he supports, he cheekily admitted he wouldn’t be too upset to see a Rangers win precede a Whitehill one. “A cup final is only a bonus if you win it,” Hislop insisted. “It’s the old cliché – nobody remembers runners up... unless you’re Hibs! I’ll be quite happy if there’s two Edinburgh teams losing over the weekend, that would be nice! On arrival Hislop cited their opponents as a benchmark for his players to aim for. Seeing them lift the Lowland League trophy at Roswell on Wednesday illustrated the quality of squad his friend Gary Jardine has meticulously built. Top scorer Ross Allum limped out of Wednesday’s game early but will be fit for the weekend, with only pre-booked holidays rendering one or two unavailable for Jardine’s squad.